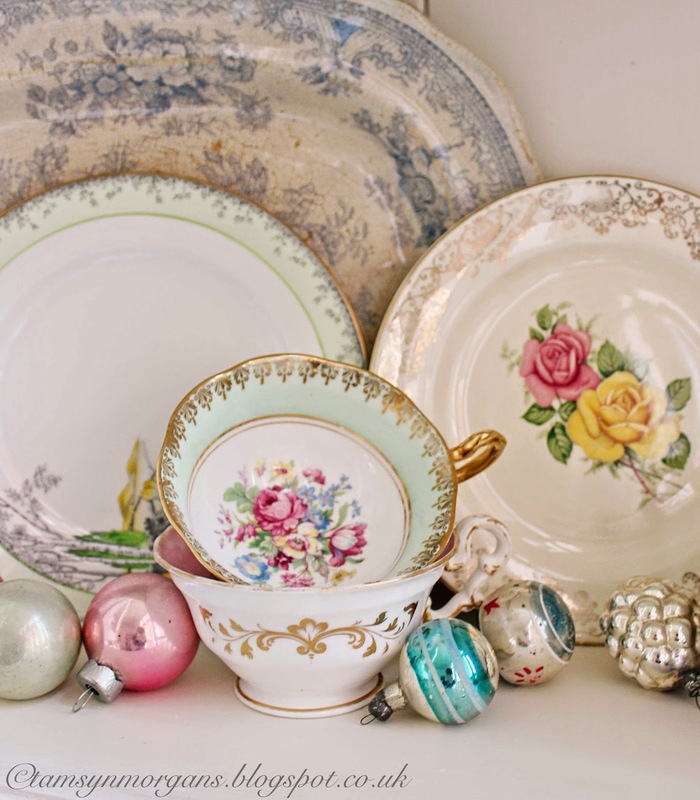 I had a move around in my dining room last week, and before I took this wall cabinet down, I had to take few snaps to share with you of my vintage china. 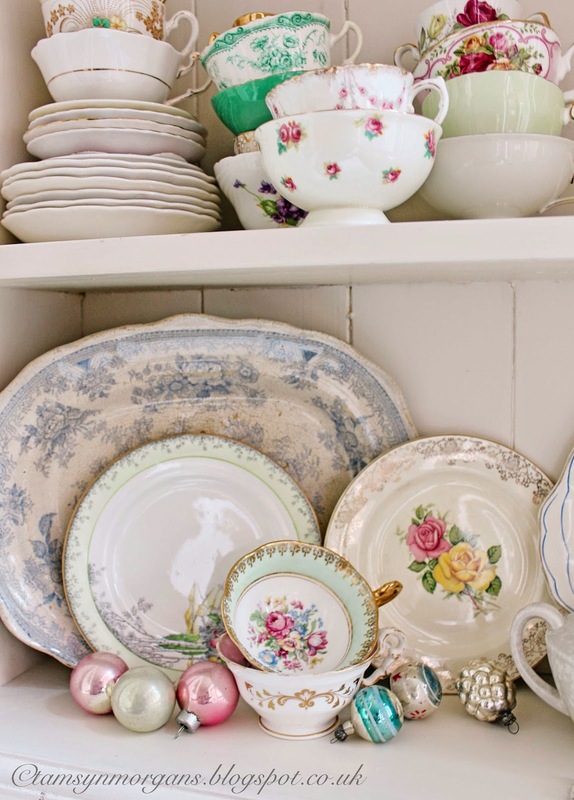 Pretty much all of it is from car boot fairs and I love how it is all completely mismatched! Today we shall saunter up to the coffee shop for a latte and hot chocolates before going for a stomp through the woods. Have a wonderful day whatever you’re doing! 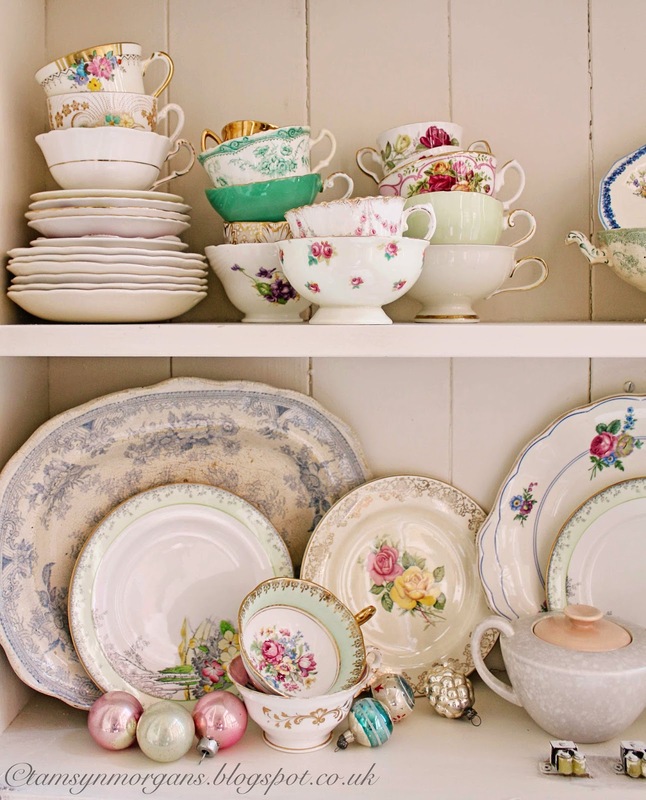 Such gorgeous vintage china! 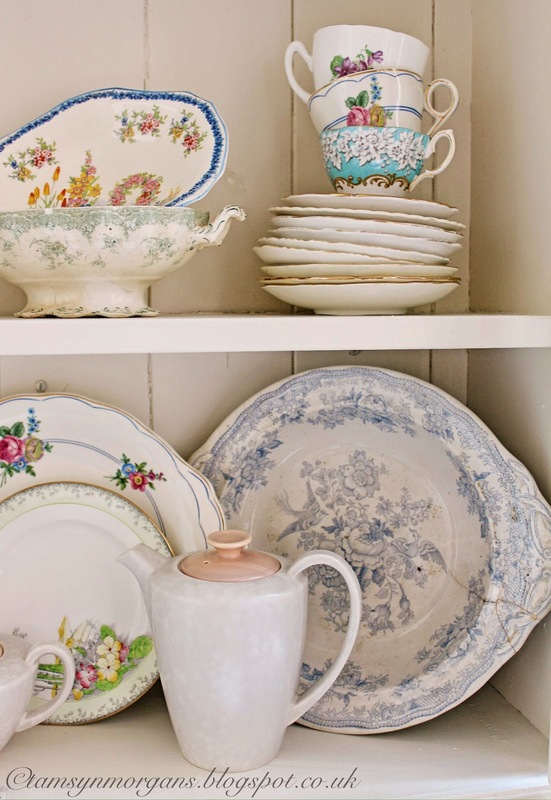 It looks beautiful against the white shelves, and I just adore the pale blue and white Asiatic Pheasant plate – i picked up three large square bowls or tureen bases last summer hols in an antique shop for £8, all cracked and old and i love them!